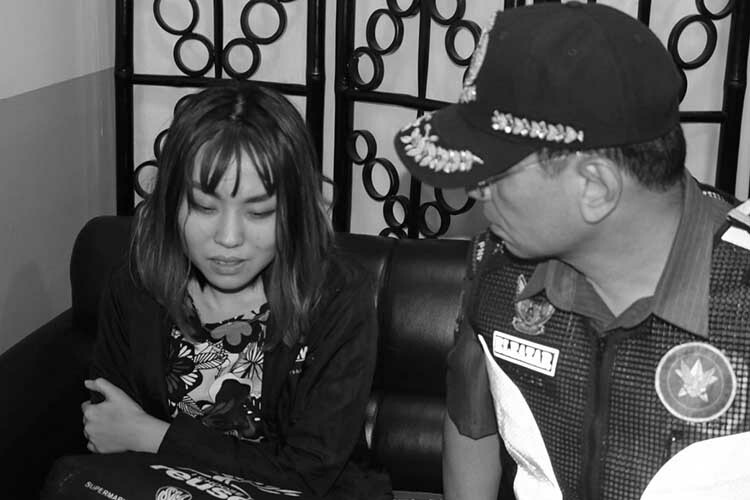 MANILA — A female Chinese national was arrested for disrespecting and assaulting a policeman assigned at the Metro Rail Transit’s (MRT) Boni Ave. station in Mandaluyong City on Saturday. National Capital Region Police Office (NCPRO) head, Director Guillermo Eleazar, identified the suspect as Jiale Zhang, 23, residing in 30P Axis Residences, Pioneer St., in Mandaluyong. Zhang threw “taho” (soy pudding) at Police Officer 1 William Cristobal after he stopped her from entering the station at about 8:30 a.m.
Based on initial reports, the station’s on-duty security guard stopped Zhang from bringing with her a cup of “taho”, explaining to her the ban on liquid items implemented by the MRT. PO1 Cristobal intervened and explained to Zhang the policy but she refused to comply and threw the food at him, staining his uniform. Meanwhile, the Bureau of Immigration has yet to coordinate with authorities regarding Zhang’s case. “We will be coordinating with the DOTr (Department of Transportation and the NCRPO for details about the case and will study possible actions against said foreigner,” BI spokesperson Dana Krizia Sandoval said in a text message to reporters. Eleazar said earlier he recommended the strict implementation of the “No Foods, No Drinks Allowed” policy at the LRT and MRT as a preventive measure against any terror attack using liquid bombs.